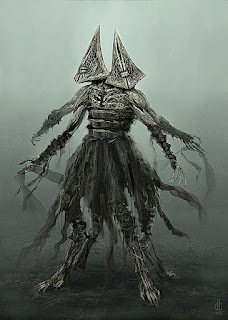 The Mazadrani are worshippersof the ancestral dead, and each deity in their land is regarded as an ancestor who gained enlightenment in the afterlife of the spirit realm. 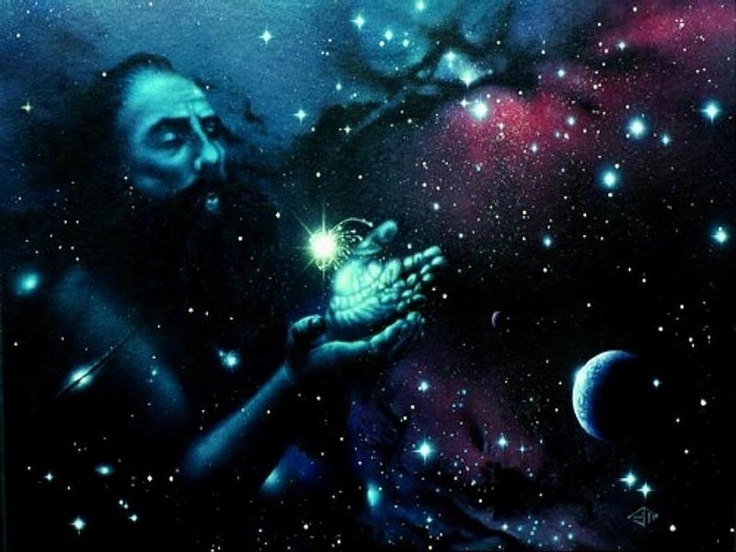 Priagas is regarded as the first such enlightened ancestor, and his cults of knowledge are widespread throughout the land. Hubris is an important concept among the warrior cults and warlords of Mazadran, and Sheledentan is often invoked to remind those warriors of their own failings. The god of the sky is regarded as a Mazadrani deity that predates the current Mazadran empire and may be an ancient god from an older time, a creator figure of old. He has been thoroughly integrated with the modern ancestral worship practices however, and is regarded as the father of Priagas. Envirol is seen by some as another aspect of Sol Invictus in Selindar, but Mazadan worshippers regard this ancestral god as the first true king to ascend to godhood, and become the embodiment of light. They harshly reject the entire Selindari “super pantheon” of the rest of the Hub of Etyri. This is the god of the earth, regarded as a patron of the common farmers of the land. The god of fire is regarded as a mildly malevolent spirit of the lands of Mazadran, to be feared more than worshipped. The god of the air is actually regarded as a benevolent deity, albeit arbitrary and prone to accidental death due to the temperament of the weather. Appeasement for good rains and no storms are common. Sortor is also regarded as the god of men. The water goddess doubles as goddess of women and childbirth. 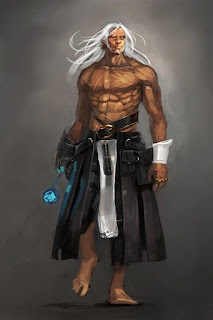 The god of the spirit is a strange one in Mazadran, who recognize the spirit world of the In-Between, and feel that Priullan, the first mortal scholar to study that realm and subsequently perish, became its patron and serves as guide to those mages who seek to plumb its secrets. There is one old king of Mazadran, a terrible warlord known as Shegraeth who is believed to have ascended in death and become a god. 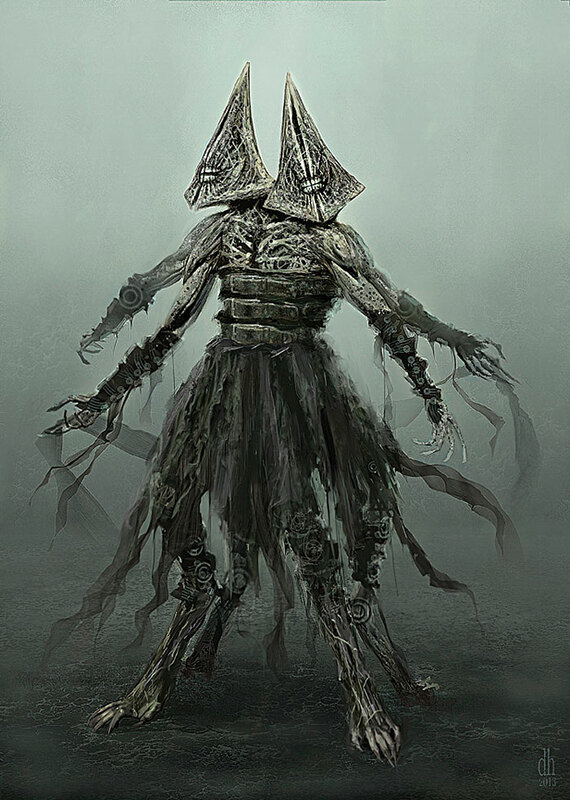 Shegraeth is the embodiment of death, terror and the out-of-control potential for man at his worst. Every Mazadrani king must prepare for an afterlife in which he is tested and, if he passes, he ascends to the ranks of lesser godhood. Not all kings make it, and the priesthood dedicated to this process has an enigmatic method of determine who did and did not. Of the last One hundred and seventy three Mazadrani kinds, only fifty three are said to have ascended. This priesthood is engrained in Mazadrani society, and this prospect of true deification in the afterlife is part of the reason the land remains torn between powerful warlord, all seeking the coveted title of King of Kings to gain the right of ascension. Indeed, it is not uncommon in Mazadran for a warlord to sieze the throne, be anointed by the priesthood, and then seek death in mortal combat (taking one’s own life exempts that person from the ascension) specifically to initiate the challenge ascension. The Faddasari religion is far and away the most confusing and troubling to outsiders, for they embrace gods who hold clearly good and evil intent, and can be hellishly capricious. The god Shazarath might demand tribute from a starving village, for example, which the priests readily obey, only to have the priests stricken with plague imparted from the villagers to punish the priests for their greed. The gods of Faddasar seem to treat mortals as playthings to be toyed with and discarded as they wish. 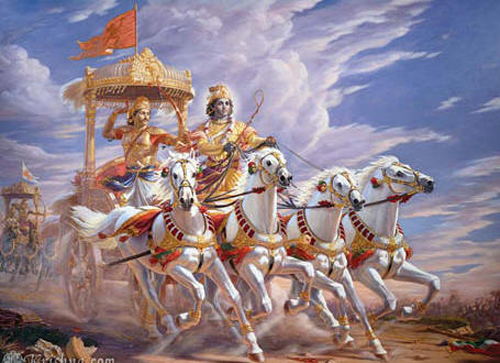 Creation Myth: The Faddasari believe that the gods are in a constant dance in the night sky, and the greatest of the gods ride through the night sky upon their steeds, the planets. They are many, but in their never-ending romp through the universe they cast of swirling lines of creation and destruction, and it is a twisting tether of such cosmic fabric that weaves together to create the universe as man knows it. This primal storm lord creates the weather with his dancing weave. His capricious and wild dance can enthrall and destroy. This is a god of battle, and the refinement of the art. Many a warrior has prayed to this god for a bounty of skill in battle. She is the Northern Star and the patron goddess of the Hub, the goddess who unites, and the one by which diplomats swear by. She sings the song and plays the melodies to which her brethren dance. Natyne is a beautiful goddess and a purveyor of wisdom and thought. Her priesthood of pacifistic men and women seek to expand the realm of understanding and diplomacy, though they are not true pacifists in that there is a special sect of the temple dedicated to enforcement; these paladins are cautious protectors of the land. 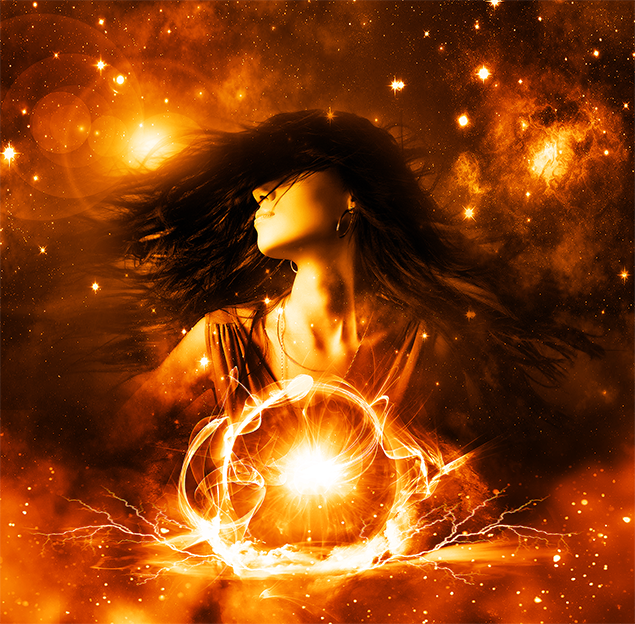 Natyne is presently the favored goddess of Selindar. The exact roots of Yakaska are unknown, but she was heartily adopted centuries ago by the Faddasari and subsequently became very popular in Selindar. Yakaska is a goddess of beauty and jewels, a keeper of wealth and beauty on display. She is a vain goddess and very popular among nobility and elite women. She is such a vain and impartial goddess that she is regarded with disdain by most other priesthoods, but there has been some concern that Yakaska’s priesthood is merely a front for more sinister political purposes. 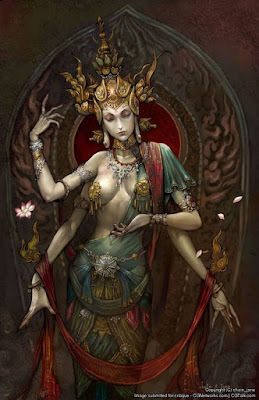 The fact that no one knows where this goddess’s cult originates from (some claim it was adopted from a Merillian cult to a goddess they call Sesera) only confounds the matter. This Enzadan lesser god is a patron of goats and mountain-climbers, said to be a satyr-like spirit that dwells deep in the Egat’is Mountains of the south near Waladar. Khashtagrat is worshipped by a tiny monastery of monks who dedicate themselves to contemplative ways deep in the mountains. The tribes of Skarkathis are prone to some strange beliefs, and the mystery of Isalkas, the Red Dervish, is among them. They feel that all of their gods were mortals who were stolen by the spirits of the In-Between and returned as divine beings. 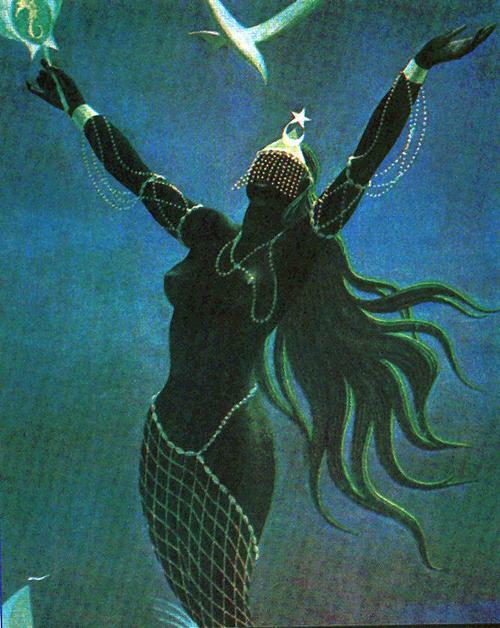 Isalkas is said to have been a dancing mad woman who lured men to their deaths with her beauty and he dancing deep in the deserts, and that one day she attracted the attention of desert spirits who stole her away. When she returned, she was a divine being of the desert, and an entity to be feared, the embodiment of the desert’s dangers. Only witches and the mad worship her openly, all else pay penance and hope she leaves them alone. Another Skarkathic deity of dubious value, Merestor is the snake dancer or snake charmer, an ascended mortal who was imbued with divine properties by spirits. He is a master of serpents and it is but for his grace that men are not overwhelmed by the might of these beasts. Some say he was the first man to learn the secrets of the prehuman serpent kingdoms and turn that knowledge against them. In this sense he is a protector deity, but his other stories of destroying entire towns with serpents that did not properly revere him are a sharp contrast. Dasam is a harsh land of wild jungles, intensely hot deserts and barren wastelands for thousands of miles at times. It has a dark and tumultuous pantheon of dreadful gods, all of them representing dark aspects of creation, and a few which are beneficial to man and kin as well. Creation Myth: The Star God Drod was said to have created the heavens first and then did his creations, the gods and wild spirits who are the stars descend to craft the world from the well of darkness, where Utalos dwelt. In so doing they released Utalos, who plagues man with the curse of death to this day. Pytharos made the serpents of the world, and it is believed that the serpent men and other reptiles existed first; afterwards he cast forth his serpents to twine together to form the bodies of men and his kin. The ancient and primordial god of the skies, far removed from man, but the progenitor of all existence. Drod’s nature today is considered enigmatic, but there is some suggestion that he is actually a very old chthonic god, dating back to the Pre-Inhuridan religions of old. Worshippers today regard him as the keeper of lost secrets, mysteries, and magic. 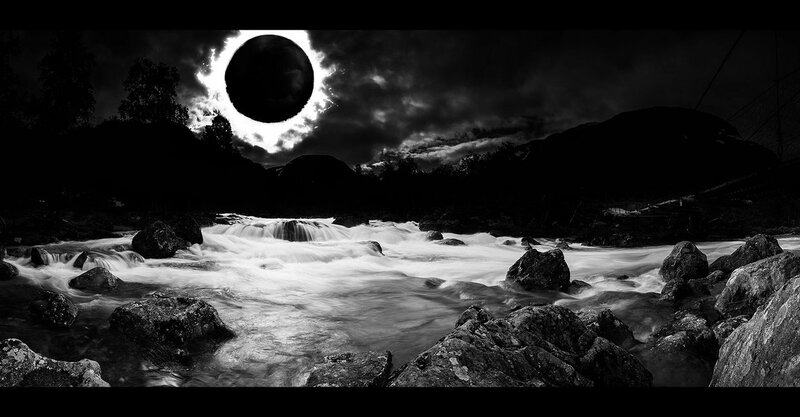 He is known for a strange connection to the unusual phenomenon of the Black Suns which periodically loom in the skies. 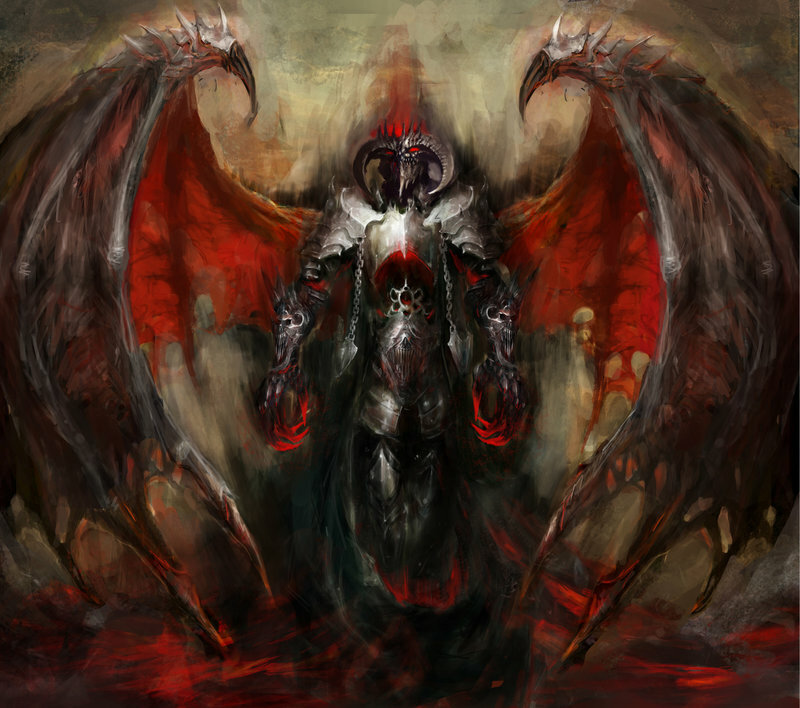 This is a dark god, a vicious slayer who is said to appear on battlefields to claim the souls of the dead. The wise Minbrata is a goddess of civilization and commerce, and often called upon by the merchants of Selindar as well as those of Dasam. Yganon is a harsh elemental god, said to have stolen fire from the sun and brought it to the earth, creating the deserts as he did, where the Sun peers tirelessly in search of his stolen treasure. Yganon is revered by nomads of the savannah as a trickster and survival god. The serpent lord Pytharos is the keeper of wisdom and lore and a god venerated by many sages and wise men. He is said to manifest in the induced dreams of shamans in the savannah kingdoms, and he is believed to have created serpents, and from the serpents, men. Vadradasha is one of the more popular Dasamite gods to have been embraced in the hub, a benevolent god by most accounts, around whom many stories of adventure and lust have been told. 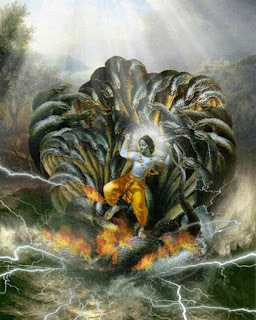 Vadradasha is said to have impregnated ten thousand mortal women in his time (and not all human) and that it is a popular (if fallacious) pastime in southern Dasam to claim lineage back to the moon god. Aside from his lustful adventures, Vadradasha is considered patron of the night, a caretaker of travelers (and women, especially women) in the dark, and the patron of the harvest and good weather. The harsh desert kingdom of Dasam has some unpleasant and arbitrary deities. Sumesthenes is seen as the record keeper of the dead, a transitional god from whom secrets of the afterlife can be learned, and favors gleaned to extend one’s life unnaturally. The Selindari worship all gods, and their pantheon is massively inclusive of all faiths, religions and beliefs; there is a sense in Selindar that the embrace of the divine is essential to human survival and understanding, and that no one belief should be regarded as sacrosanct and above all others. As a result, most gods in the Hub of Etyri are worshipped here. However, a few gods stand out as being distinctly local. Such gods include the following. Creation Myth: the Selindari have an exotic creation myth which contends that each land was its own island, on the great Vanzarik Ocean. Each patheon of gods arose and created their land as they saw fit, and it was the call of Etyri, who rested upon the hub of the world, that drew the islands of the many gods and their creations together to form the convergence of three great lands. The Selindari of course say they are the favored of the goddess, chosen by her to bring commerce, education and language to the many lands such that all men could speak and communicate their ideas. The goddess of commerce, engagement and diplomacy is regarded as the principle goddess of the local Selindari pantheon. Though Etyri is regarded by many as a modern goddess, it is her influence in the ways and thought of the Selindari that have made their culture what it is over the last two thousand years. The dictates of the goddess founded the politics and caste system of the land, and also fostered a curious openness to all religions and beliefs, such that the Selindari adopted whole swathes of the Merillian, Fadasari and Dasamite pantheons as their own. Etyri is truly the goddess who rules Selindar. 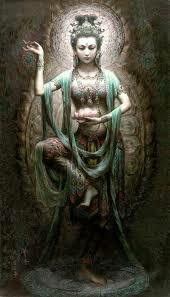 The benevolent goddess of healing and prosperity is the second most popular goddess in Selindar. Her life-giving waters are found throughout the kingdom, and it is said that her touch can heal the sick. Elinzada’s magic is powerful and well known. Every few years a servant is chosen who bears her spirit, a literal embodiment of the goddess, and that servant of the goddess much journey from city to city to offer her healing, using his magic to empower her sacred pools. Recently Elinzada’s servant was murdered, and his replacement is missing. There is doubt that the goddess will be able to bring healing as she is supposed to, and now at least one city has fallen ill to a plague of darkness. These are all believed to be related, and there is a call in the land for heroes to seek out and find the missing spirit of the goddess. The household gods and spirits of Selindar and Waladar are similar to the “Rabbits” of Nepar, in that they represent highly specific entities, usually regarded as folk spirits or lesser gods, who are dedicated to the protection and maintenance of specific duties, concepts, tasks and social functions. There are about seventy three hundred documented in the annals of the High Temple of Etyri in Uralhat at last count. The trade gods are a subset of the household gods, specifically considered servants of Etyri herself who oversee aspects of trade, commerce and goods. They are all regarded as important servants of the goddess. There are no priests of specific lesser deities like this. Instead, priests who dedicate themselves to large swathes of such deities provide advice and ritual services for households or merchants of a wide range of useful deities. Some priests may gain a corner on the “market of blessings” by offering such services to invoke especially rare household gods, such as the god of chimneys or the god of cheese. Originally a minor folk spirit of Merille, Palitonius became one of the thousand trade gods of Selindar and has subsequently become popular abroad, while his memory in Merille is all but lost. Palitonius is the lesser deity of belts, buckles, knots and straps. If you need something secure, a blessing from this diety will help. Sailors love Palitonius, and see him as a patron deity as well. A trade god of cooking who has also become a common household god in Waladar. 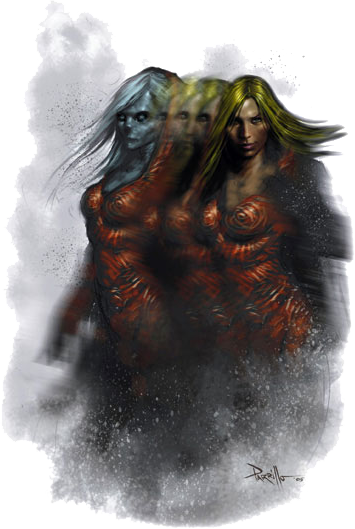 The goddess of childbirth and doulas is very popular in Selindar and Skarkathis too, for some reason. She is regarded in Skarkathis as a spirit of the home. The goddess of virgins and young women is seen as sister to Mereska, and is popular in the same lands she has spread to. She is the embodiment of femininity before childbirth. One of the many popular Selindari household deities, Sukavese oversees those who raise fowl for food or otherwise. A very benevolent goddess by all accounts, unless you are a game bird or tengu. The Tengu haaaaate Sukavese and see her as a death goddess. The Merillian culture is ancient and fallen but its gods live on. The Shevalic gods were an intrusion late in the collapse of old Merille, and represent an introduction of ancient northern gods which blended over time with traditional Merillian religion. So thorough was this process that no one today recalls the original myths and tales of the Shevalic gods without the Merillian deities imposing. Indeed, most of the Shevalic gods are seen as lesser demiurges, servants to the older Merillian deities. This enigmatic demiurge (for all current Shevalic lesser gods are seen as ascended mortals) is a harsh old man who oversees snow and winter. He is popularly seen as the bringer of suffering and hardship. 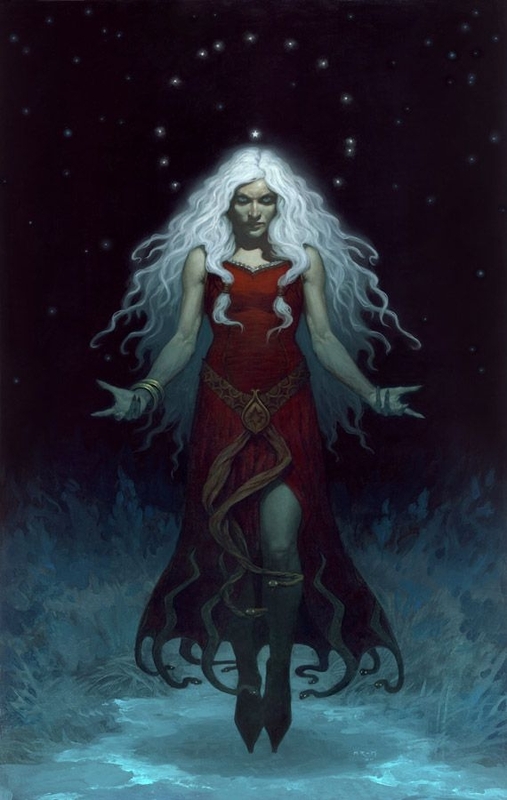 Ikathras is a folk goddess of witches and mysteries in Merille. Her nature is mysterious, her behavior generally regarded as evil and leden with antipathy toward the living. Most stories of ghosts, banshees and the undead are regarded as the product of her doing. The conservative Shevalic people see her as a goddess of warning and what dabbling in dark magic can do to you. The last king to unify Merille a thousand years ago, Saradan Tenor is believed to now be the spirit protector of the land, servant of Merille’s people, and a patron of knights of the realm. This Shevalic folk god is considered the betrayer of Saradan Tenor, but when Saradan returned to life a demiurge he struck down his half-brother Oolgam and made him his jester, to insure his closest enemy was always present. Oolgam is a demiurge blamed for misfortune in Shevalic Merille. This is the Shevalic god of death, a cruel reaper who cares not for whom it comes, and once you have been marked for death Gravenor will not stop until he has claimed you. The Shevalic afterlife is a bleak, unpleasant dominion that no one wants to see. The only hope for escape is to bribe Gravenor with one’s bounty of goodness, such that he is so disgusted with your virtues that he casts you back down to be reincarnated. Yappas Makurin is a Merillian demiurge, the first centaur and sometimes regarded as the creator of all tauric races. Centaurs worship him and claim he was their first great king. 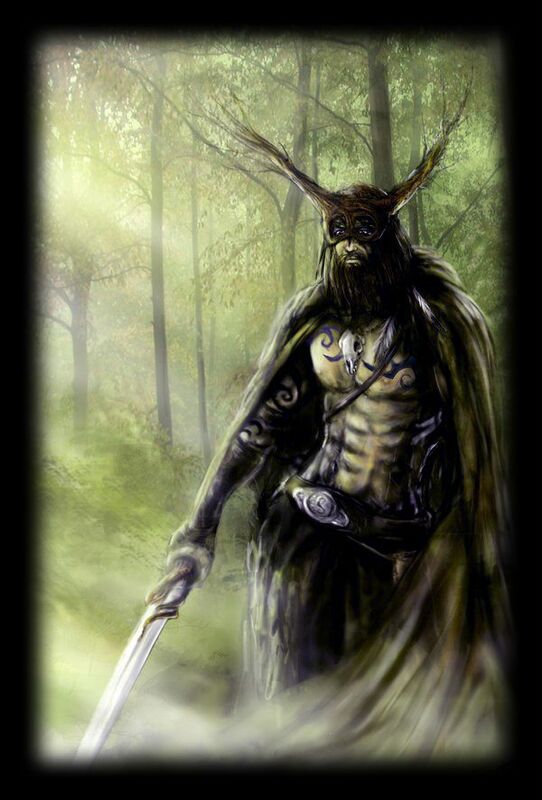 Druids worship him as a potent force of nature. In 1,958 AW the explorer Gortham Dann Malik, great grandfather to the knight Margda Dann Malik, traveled with the Octzellan Royal Vessel “Enki’s Grace” across the Endless Ocean and returned three years later, laden with loot, prisoners of a foreign land, word of endless islands filled with plenty and tales of daring adventure. Malik’s exploration revealed that there was a continuation of the Nakamura Isles, which ran along the western coast of the Middle Kingdoms before stretching out to sea, and that by following the isles he discovered a safe passage across the notoriously violent Endless Ocean which, after nearly a month of travel, opened up to a vast western land of islands and an unknown mainland which he only glimpsed. The people of these Western Nakamura Isles as he dubbed them were distantly related to the eastern Nakamurans known to the Middle Kingdoms of Lingusia on the Isle of Porondor and the westernmost island of the Isle of the Watching Gods. Indeed, the easternmost island of the new lands included its own Isle of Watching Gods as well looking eastward to where distant lands lay. The first decade after Malik’s return to home was a brief but intense period of exploration and discovery as the major powers of the Middle Kingdoms sought to establish colonies. Within fifty years all major presences in the east had staked their claims in the Western Nakamura Isles, and investigation and invasion of the mainland had begun. The colonials almost immediately came to clash with the indigenous kingdoms, including Natukan, Talay, Haxitol, Hixatec and Hochimec. Eastward, in the region dubbed Paneurika, the barren deserts and rough landscape proved less inviting but also easier to lay claim to. The local populations, especially the Hohotone, Shaote and Kuhuyak were more welcoming of the foreigners, at least initially. Despite their lack of metallurgy beyond basic decorative jewelry, the locals were nonetheless prone to extremely sophisticated sorcery, and seemed to worship gods, especially in Mataclan, which were demonic or even chaotic in the eyes of the colonials. The War of the Dark Pharaoh was fresh in the minds of many, and a large number of colonial settlers were soldiers who fought in that war, so the western beliefs seemed especially heretical. This did not bode well for future relations, but at least initially most religious conflict was initiated by efforts to proselytize and convert the local heathens to the cults of the Middle-Kingdoms. By 2,011 AW the colonies had a full two generations of citizens growing up and were feeling their own sense of independence. 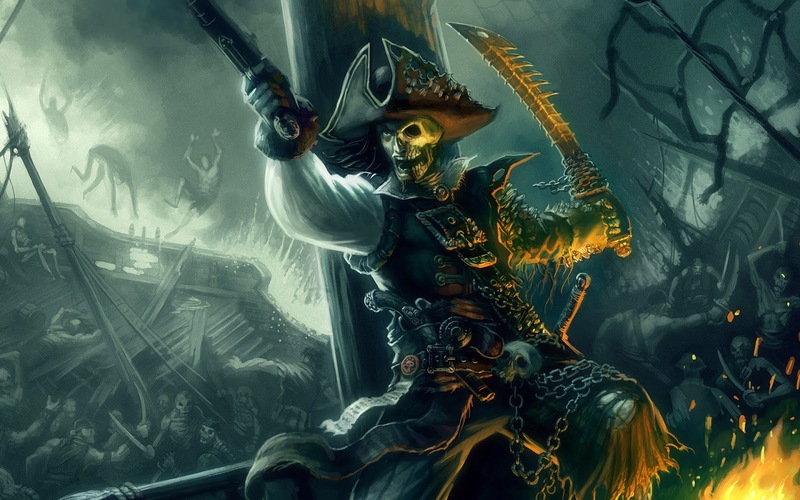 In 2,015 the privateer Emandre Dolvanisk of Octzel liberated the colony of Vorga on Isle Seuse, at least partially using indentured natives as a military force, promising freedom for all in exchange for their loyalty to the man. Emandre was a spry 25 when the year of bloodshed commenced, leading the the swathe of isles known as the Free Colonies. Ironically, their precarious strategic position along the Mataclan coast made them less desirable to the eastern powers, and both Octzel and Hyrkania gave up attempts to rein the isles in after a few years. Today Emandre still rules at age 104, but he looks barely a day over fifty. It is claimed that he discovered a Fountain of Youth somewhere in the mountains of Seuse Island and has benefitted from it ever since. His piratical colony is known for welcoming all, abstaining from slavery, and having no real rule of law otherwise. The destablilization caused by the emergence of the Free Colonies led the other colonies to scramble to protect and hold their own interests between 2,020 AW and 2,050 AW a dozen skirmishes and wars were fought locally, as each side funneled more ships and resources to protect the productivity of the colonies while insuring no holdings were lost. As the presence of the eastern powers grew, so to did attention to the mainland. Many coastal colonies had fallen in Mataclan, but Hyrkania pushed to add enormous resources and manpower to hold on to Usyllyses and Hyvarik. By 2,085 a colony was founded at Port Patraeus in the northern Hochimec lands, and apparently this was too much for the indigenous kingdoms. 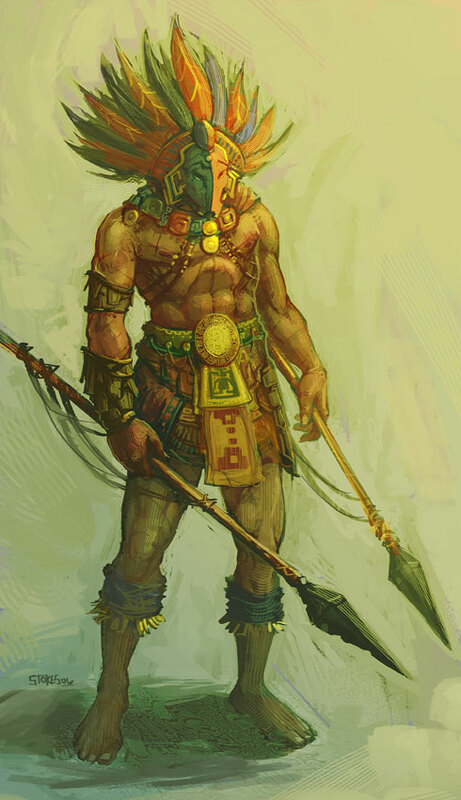 Hixatec announced that the foreigners had been identified by their principle civic deity and lord of change, Tezcatlipoca the Smoking Mirror, had spoken to the priesthood and revealed that the foreigners were destined to destroy the Mataclani if they were not sacrificed to the gods and driven out of the lands of the Sixth World. Within weeks, a war had begun as the other kingdoms rallied around this message driven by the Hixatec king, Seven Blades. Seven Blades, uniting the Mataclani chiefdoms, initially burned several of the outposts founded by the Hyrkanians and Octzellans, and as of 2,087 had great success, including occupying Hyvarik. Most of the coastal colonists retreated to the isle of Usyllyses where they held strong, and Port Patraeus stood only through luck, as several Hochimec tribes who despised the Hixatec for their cruelty stood with the foreigners in their defense, and the armies fought to a standstill. Through all this back home the empire underwent a civil war, the War of Strife, as the southern Betrayer King Makhorven was at last defeated and his heretical forces cast down. This kept the empire busy for five years, a long period in which no help was forthcoming to the remote colonies. Now in 2,092 AW Emperor Patraeus has called upon freedmen, those who wish to earn their keep, mercenaries, privateers and explorers to head west once more to protect the colonies and forge a new destiny in the name of the emperor. His motivations are driven by the heresy of the southern Divinate, which deployed demons on the battlefields against the empire to great effect. 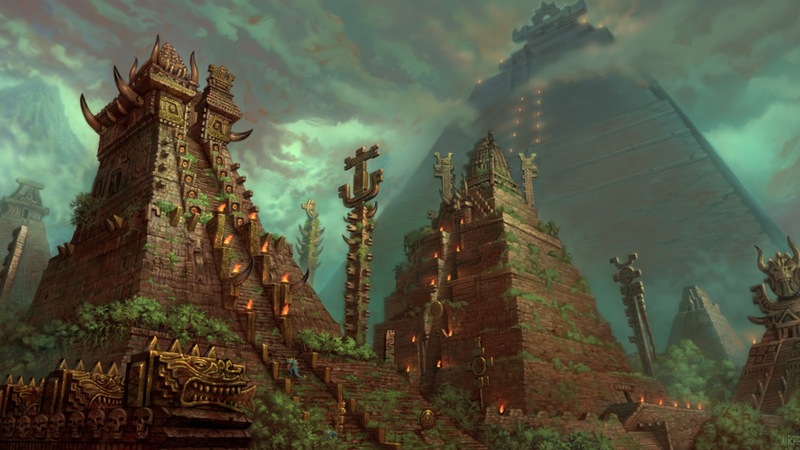 The known worship of the perceived demon gods in the region of Mataclan is now identified as heresy of the worst kind, and the emperor has effectively declared a new crusade against the Mataclani, to wipe out heresy everywhere, in every form. Even as the emperor sends forth crusaders, mercnearies, privateers and explorers in the name of Hyrkania to conquer Mataclan, Seven Blades rallies the Hixatec empire, subjugating the Talay and the Haxitol to his will as he prepares to sacrifice all of the eastern invaders to Tezcatlipoca, sending their doomed souls to the underworld of Mictlantecuhtli. Recently we kicked off a new Traveller campaign, which may be the main game for the near future while I re-orient ongoing campaigns to accommodate some group dynamic changes. 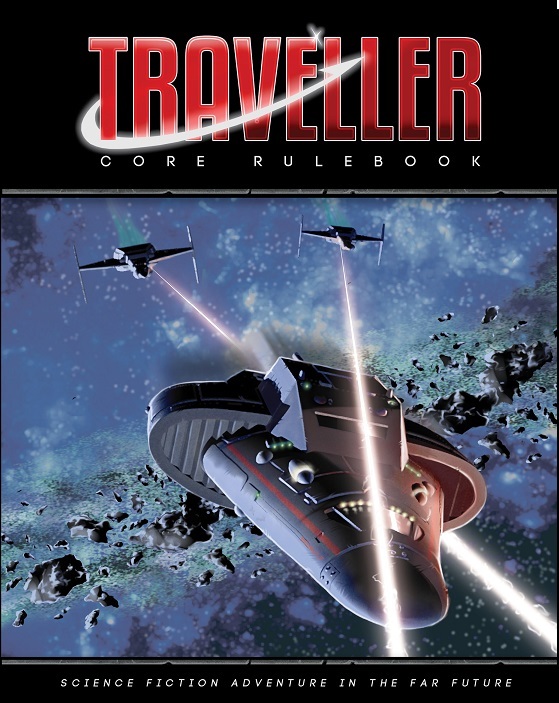 This was my first opportunity to experience the 2nd edition of Mongoose's take on Traveller, and I have to say...not bad. In fact, kinda impressive. The new rules are most notable for adding color....lots of it. These are definitely some of the nicest books Mongoose has produced in many, many years. The art is mostly on target with only one or two odd pics (the graduation pic comes to mind) and there's a lot of very useful illustrative art that focuses on showing what weapons and armor looks like....a brilliant decision on the MGT team's part to show this stuff off, actually. In this era, video games and film have made science fiction an incredibly visual medium, so a paper and pencil RPG which provides you with a sound visual aid on equipment like this book does is a great idea. 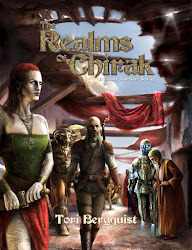 Last time I saw this much effort in illustration was with Alternity from WotC, and before that it was the Chromebook series from RTG for Cyberpunk 2020. The rules are now a bit more streamlined and clearly organized. If you wonder how they could get better, take a quick look at the way the combat rules are reorganized and presented....it's probably the best section of the book and also the best combat chapter to date of all editions of Traveller (that my memory can recall). Really smart, clean and functional with the information presented when and where you need it. Character creation has also been reorganized and while few real changes have taken place, it makes the process smoother and more organized than ever before. The stumbling blocks of prior editions (MGT1) have been clarified to the point where there is little to no confusion at all. The book provides shorter and more concise but still functional rules on animal encounters, while provided plenty of additional details on situational rules, skills, regular encounters, trade and world generation. For some reason world generation is in the back, but I don't particularly mind. Starship generation has been streamlined and more detailed rules have been moved to High Guard, which is also out and as I absorb that tome I'll write more on it later. 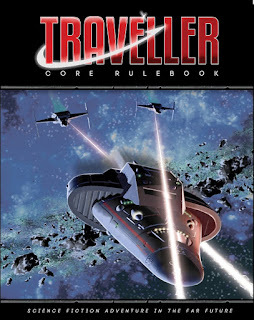 Some Traveller vets disliked this idea....it means you don't really have 100% of the core rules in the core book. I disagree....you still have exactly what you need for most Traveller games in the core, and a much more robust compendium of ship design in the supplement. I'm still working through the ship design rules, but I like what I see so far. Most impressive so far is that I haven't found any editing/errata issues. I am sure they are there (no game survives without a few) but compared to prior works from Mongoose in the past this may in fact be their first product to demonstrate a serious editorial effort that ranks them as professional for the first time. If this is proof that Mongoose has at last conquered the poor editing quagmire of prior years, then I must say, it will be nice to know I can count on their products to be properly edited going in to the future. Still gotta read High Guard and the Equipment Catalog, though.....so stay tuned. This pantheon of gods revolves around the worship of the Sol Invictus and the belief that sufficient reverence to this divine being will insure safe passage after the Sun invokes his wrath of destruction upon the world. Although the Solar Pantheon is not monotheistic, it is sometimes thought to be very close, for Sol Invictus is regarded as the primal deity, and all others are shadows cast off from his radiance. Creation Myth: The story is that man came from the stars, carried on the wings of the first gods, the primordials, on whom they were mere parasites. It was these gods who filled the night sky with their mirth and lust for wonder, but in time, some of them saw a distant star so grand and majestic that they flew too close, and were trapped in the light of Sol Invictus, as if in amber. One such winged primordial was Enzada himself, and it is upon his back which all man rests. The star which trapped Enzada was Sol Invictus, and he will one day burn the world clean of its infestation. AL: LN; Domains: War, Light, Death; Symbol: the solar disk, sometimes crossed with swords. The divine lord of light and destruction, sometimes also called The Red God, especially in the Hub of Etyri, where he is regarded less as a fearsome god to fear and worship and more as a violent god to oppose. Sol Invictus is regarded as the harbinger of the apocalypse, the god who will ride down upon his sun chariot and incinerate the world at the end of time. He passes overhead in his daily vigil, waiting for the time when he will be called upon the destroy it all. AL: NE; Domains: War, Death, Tempest; Symbol: A chariot of fire and a bow and arrow. An ancient war god from old, revered for the harbinger, the god who on the day he appears before man with his army to raze the civilizations of the world before Sol’s purging fires. Amadanthus is regarded as the right arm and sword of the Red God, the reaver that will precede the incinerating fires of Sol Invictus, who will in turn slay all men on the day of judgement. A gentle goddess of agriculture and fertility, Sippurta is seen as Sol’s wife, and it is popular among her followers to believe that she will spare the faithful from her husband’s fiery wrath to live eternally in the paradise that she will create after the purge at the end of time. As with much of the Solar Pantheon, Triktovar is a god above its creations, and beast that is identified only with the harsh realities of nature and the desperation of survival. All animals in the Merillian pantheon are said to have been created by or are watch over by Triktovar, who is also said to despise civilized and intelligent beings. A mysterious scholar-deity of Merille, Tenadrus is worshipped by a prestigious enclave of oracles and prophets who speak mysterious truths supposedly written through channeling the words of his spirit into their secretive tomes. Humans sometimes dally with the enigmatic spirits and demons of the In-Between, which seek the company of mortals whenever they can. Among the offspring of these pairings are the tieflings, children born with demonic blood, aasimars born with celestial blood and the changelings, children that have been imbued with spirits seeking to enjoy the mysteries of the physical form. A rare variant breed of changeling is the corrupt offspring of hags and men. All of these breeds exist in Enzada, though they might collectively number in the hundreds in any given kingdom, certainly no more than a handful at a time, but definitely more than enough to have created many a rumor and tale of their existence among the more humanocentric lands (Selindar, Waladar, Nepar and Skarkathis especially). Changelings are usually a little off in appearance (indeed, an entire race of changelings called the netherim exist in the world, though they are formed from more powerful whisps who have learned the art of spontaneously creating physical bodies from the nether of the spirit world). Changelings are always strange in manner and appearance, and while looking generally human they have traits that mark them as distinctively altered in some way, some more than others. Changeling Statistics: Changelings are physically identical to humans in many ways but their exotic natures grant them a +2 bonus to Charisma. Changelings start with a talent for magic that usually manifests early on, gaining the Magic Initiate feat. Finally changelings seem to have an unusual sixth sense, gaining proficiency in either Insight or Arcana. 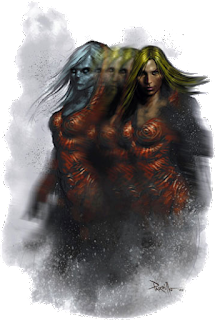 Shifter Changelings: Changelings that are true shapeshifters do exist in Enzada; the union of a hag and a human has led to a breed identified by the same name (for only learned scholars of the occult might easily identify the two as different beings in origin). This breed of changeling is mysteriously most common in Nepar. These changelings are identical to other changelings, but instead replace the Magic Initiate feat with the ability to cast Disguise Self at will. Aasimar are much like tieflings in that they have a hetitage derived from the planes. The benevolent spirits which add to the mix in the creation of an aasimar tend not to be from the outer darkness however, instead coming from the celestial kingdoms beyond. Aasimar are a rare breed, but always striking when encountered. 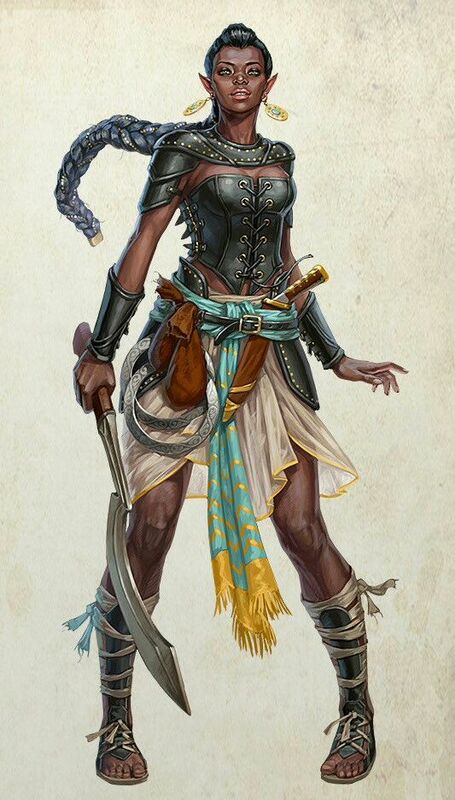 Aasimar as a race option are available as presented in Volo's Guide. Tieflings are born of the mating between mortals and demons. The demons of the spirit plane are malevolent beings that also enjoy the possession of mortals, though this usually happens to adults, unlike the lesser wisps that seek to occupy a child's body. Tieflings are a byproduct of the pairing of mortals in which one or more has been possessed, though on rare occasion a mortal lured to the Outer Darkness might be directly assaulted by the demon in its native form. Tieflings sometimes resist their heritage and become powerful sorcerers, seeking to understand the mysteries of the otherworldly kingdoms as well as the mortal realms. Tieflings are often difficult to detect initially, but sometime during childhood they change, manifesting obvious traits from their vile parent such as horns, a tail and reddish yellow eyes. Most tieflings are forced to flee in to the wilds to escape persection. A few get lucky and find a way to seek out other like themselves, and still others draw the attention of the spirits and so-called Greyfolk of the In-Between, and are drawn into that nether realm to dwell in peace. 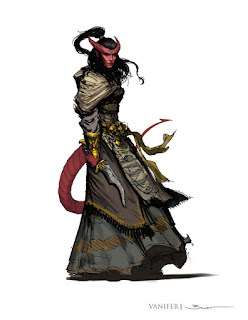 Traits: both changeling and tieflings are exotic in appearance but otherwise human in size and traits. Individuals should define their appearance carefully. Changelings and tieflings are both more disturbing than normal in appearance, although among the many cultures of the Hub of Etyri such appearances can be coveted and sought after. Tiefling Statistics: Enzada Tieflings are identical to standard tieflings in D&D, though their magical repertoire may be more varied and exotic; with the GM’s permission a player may replace a any default racial spell with any other single spell of same or lower level. I can honestly say I didn't expect to see a film which took inspiration from Twin Peaks, The Exorcist and Go, creating an entirely new and unique experience. Such it is with Ava's Possessions....a movie which dabbles in a mixture of occult, mystery, humor, and the weird with utter aplomb. It's currently on Netflix, and you need to catch this one if the concept of a film with such weird DNA appeals to you, too. Ava (Louisa Krause) wakes up from a prolonged 28 day possession, held by a demon which has used her in those four weeks to do unspeakable things. A battered family wrestles with the reality of her exorcism, conducted by a rather matter-of-fact priest in a world adjacent to our own, where possessions are literal events and the law even accounts for them. You can, it turns out, commit crimes while possessed and in these circumstances the law allows for you to go to a form of "spirit rehab." Since Ava, now decoupled from her demon, needs to deal with the reality of what happened she chooses the spirit rehab classes over a mental institution or jail. The film is darkly humorous, though not camp or otherwise outrageous. It does expect you to roll with the logic of a universe where possession is just something the courts occasionally both deal with and recognize as a valid defense. If you've played games like Bloodshadows or Unknown Armies this won't seem so odd...hell, if you've ever read a Dresden Files novel it will seem positively germane! Fun fact: Carol Kane makes an appearance in the film, running an apothecary shop for Black Magic. Ava's Possessions managed to surprise me in a way I really like: a genuine new take (or twist) on other more heavily trod fictional grounds that suddenly managed to make the genre mashup feel completely new and fresh again. I clicked on this one at random but boy did I get lucky with the pick this time. Check it out, you may be very pleasantly surprised too. 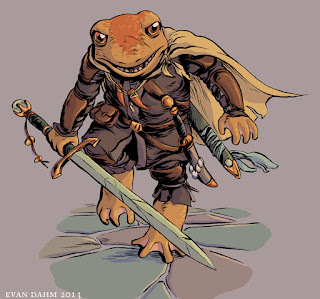 The frogmen, also called the Egleppi, are a friendly (though sometimes suspicious) race of amphibious humanoids that dwell in the deep jungles and wetlands of the Hub. 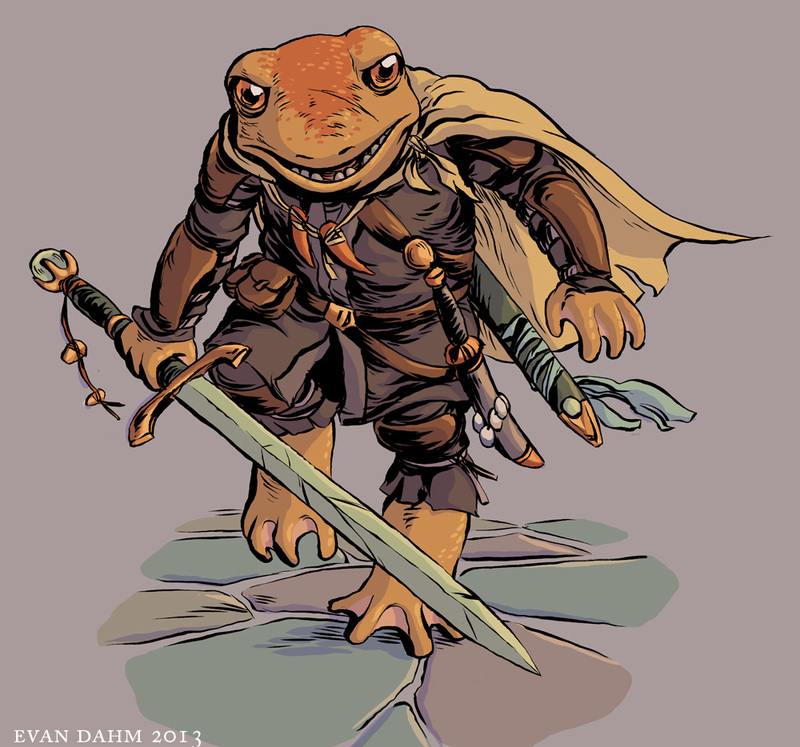 Egleppi are regarded as trustworthy by most, but they are fierce enemies of gnolls, Sarnatha and other foul kin. Traits: Egleppi look like short humanoid frogs with sticky sucker-tipped fingers and toes. They are distinctly inhuman, but their appearance is so nonthreatening and their command of human languages so consistent that they do quite well among men. Egleppi Statistics: Egleppi have the following traits: +2 Dex, +1 Con, Speed 40 feet when distance jumping and swimming. Egleppi are proficient in shortswords and short bows. They always roll for advantage when swimming and can hold their breath for a number of minutes equal to their CON score. The birdfolk of the Vanzarik Isles and along the coast of Uralhat are a notorious lot of rascals, thieves and con men who live on the edge of civilized society. They have their own kingdoms in deep remote regions of the isles, but the most typical of the birdfolk are known for their scavenger societies at the edge of human civilization. Traits: Tengu are small, rarely more than four feet in height, and very quick. They usually have dark red or black plumage, though the males can get quite garish during mating season; roguish Tengu will often dye their vibrant plumage to avoid detection. Tengu Statistics: Tengu are +1 Dex and +1 Cha and gain a fly speed of 30 feet. Tengu are proficient in short spears, daggers and short bows. Tengu gain the perception proficiency and have stereoscopic distance vision; they always roll for advantage when attempting to spot distant targets on the horizon or targets that are 200 or more feet distant. 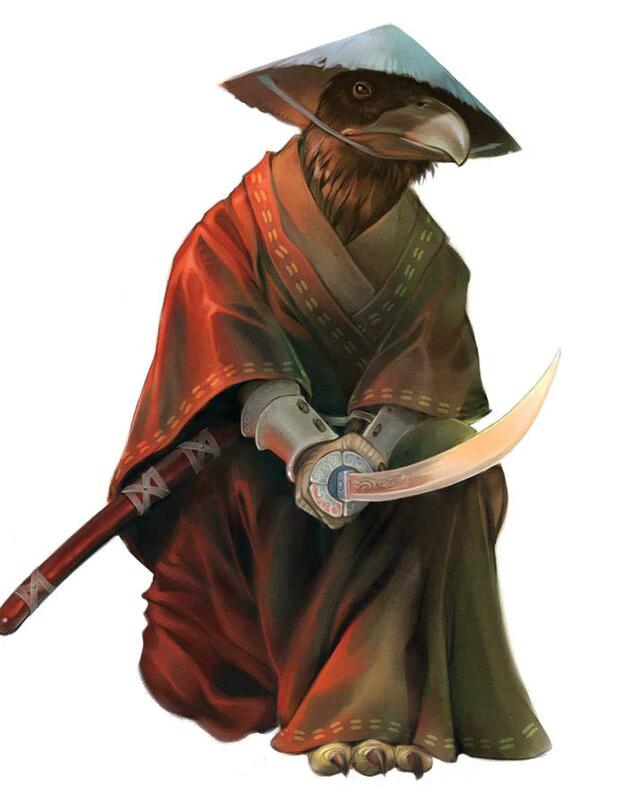 Tengu also have the gift of the gab, and are proficient in either performance, deception or persuasion (choose one). The cynocephalic gnolls of Enzada are not so obsessed with plunder for their demon gods in particular as they are the achievement of lost power by any means or through the worship of any entities that will offer them such. The gnolls were one of the chief enslaver-races of the old empire, recruited in its early years to fill out the ancient armies with expendable troops, and even today many gnoll warlords rise up to dominate some “lesser” races such as the Sarnatha. Still, there are some tribes of gnolls that seek to work with other races, or to at least remain open to trade and commerce. 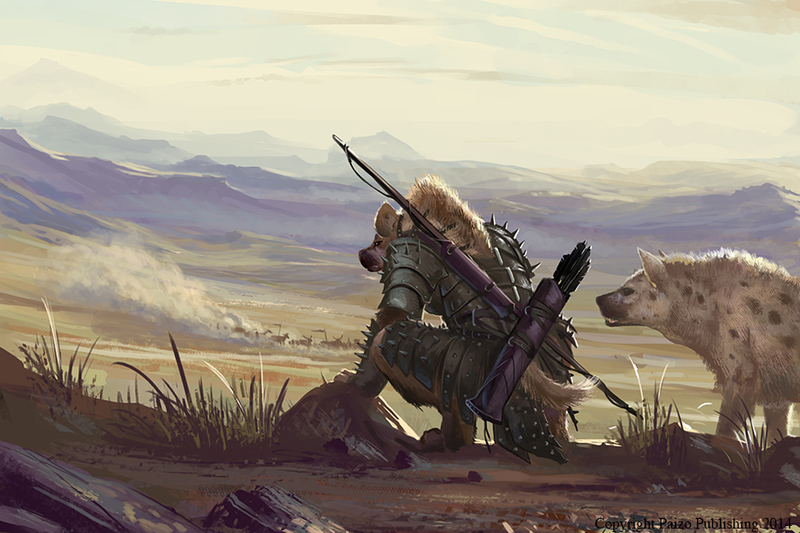 Gnolls in general can be found in the desert wilds of the Hub, and often dominate remote regions where a particularly large clan can gain a foothold. They dwell in waddle-and-daub huts and adobe fortresses, only using stone for fortification when they have enough slave labor to mine quarries. Gnolls are closely related to other beast-headed kin, including the minotaurs, tikbalang and ibixians. Unlike their other beast-headed kin, gnolls are extremely prolific (though the ibixians try their best) and so are most common. Traits: gnolls are cynocephalic hyena-headed humanoids with an insatiable appetite for carnage. There are several subspecies of gnoll in the world, some taller than men, some runtish. Gnoll Statistics: Gnolls are monster kin and may be allowed as player character options at a future date. Standard PC stats apply. Other races certainly exist in Enzada, but may have travelled to the hub from foreign lands; the hub is the connecting point of three great continents, and many races exist in those other lands that are foreign to the Hub of Etyri. Elves call themselves “The people of Daharesh” after a legendary hero who brought the elves to the world at the dawn of creation. Their origins are believed to exist in the depths of the In Between, and so like the Div they claim allegiance with the spirits and outsiders that sometimes escape that realm, even if they are far removed from it. Most of the Daharesh elves proudly identify themselves as the ancestors of the ancient Inhuridan Empire, a legacy that once long ago was a mark of shame in the eyes of many. Time has a way of healing all wounds, and after five thousand years the memory of the Inhuridan is a historical curiosity, recognized as a great shaper in modern Selindari culture. Most elves know that the truth of the old empire is only partially known in most modern historical texts: the Inhuridan Empire was many races, but the elves, in their longevity and wisdom, benefited greatly in that era and also took much of the blame when the empire at last fell to revolution and strife. Once the empire was cast down, the daharesh lost their way and renounced civilization, stealing away in to the deep wilds. Nonetheless, Daharesh still have an unusual fascination for ancient sorcery and magic, and can easily become terribly addicted to it. Some other races with long memories have never forgiven the Daharesh for their ancient indiscretions, either. Humans may fancy the old tales as mere legends, but a handful of other long-lived races know it all to be true. Because of their ancient tether to the In Between, many elves spend a great deal of time seeking out ways of transmigrating into the Space Between, to search for the legendary home of the elves, sometimes called The Green. Traits: The Hyadari high elves are taller than men, with lean bodies, pale gray skin, and slender ears. Daharesh are known for their gaunt appearance, and for being very long lived (500 years or more). The wilder wood elves are smaller and more suited for forest living, while the Zakhili drow are also smaller in build and well-adapted to living in the darkness of the underworld. Daharesh Statistics: Physically Daharesh are identical to elves and drow, and indeed both breeds can be found. 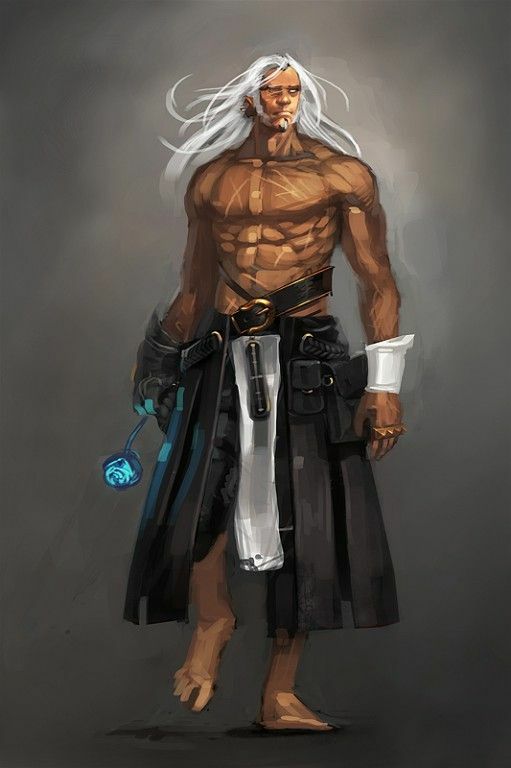 The subterranean daharesh call themselves the Zhakil (use drow statistics) while the more gracile Kindari are the wood elves and the Hyadari are high elves. Sarnatha orcs today are a shadow of the greatness they once held. Tales speak of how the first Sarnatha were once Daharesh who were corrupted and twisted in to a fierce warrior-race to serve as the shock troops for the Inhuridan God-Kings in their endless wars, but today the Sarnatha are a scattered lot, led by chieftains who seek to glimpse their lost greatness through petty war and raids. The orcs are unique in Enzada in that they hate the "gods" and subscribe to the "all gods are just powerful spirits" philosophy. The orcs eschew priests in favor of warlocks and demonologists who seek to control the spirits to their own gain. A clerical orc follows the philosophy of Sarnathic Pragmatism, and specializes in manipulating certain spirits to his or her own gain. Most Sarnathic clerics as such are lawful in nature, but they lack the restrictions of most clerics in terms of alignmnent vs. domain choices, being able to choose whatever they see fit. 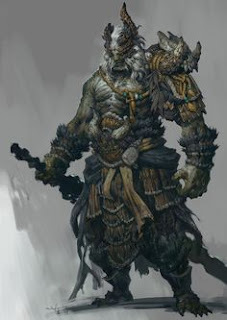 Sarnatha orcs still gain a patron and antagonist aspect, but as they do not see these beings as true gods, they instead regard them as malignant or favorable spirits, respectively. Traits: Sarnatha are hulking, brutish men who exhibit a primeval appearance, and a modern man of our world might easily mistake one for a neanderthal in appearance. They are broad but relatively short, and have wickedly pronounced canines. Sarnatha Statistics: Sarnathan half-orc breeds can be played as characters and use the half-orc statistics. In the world of Enzada “orc” is an ancient word from the Daharesh tongue used to describe filth and treachery one and the same. Naturally the Sarnatha prefer their ownchosen name of “orc,” which simply means “man” in the old Imperial tongue over the derogatory elvish word for their kind.